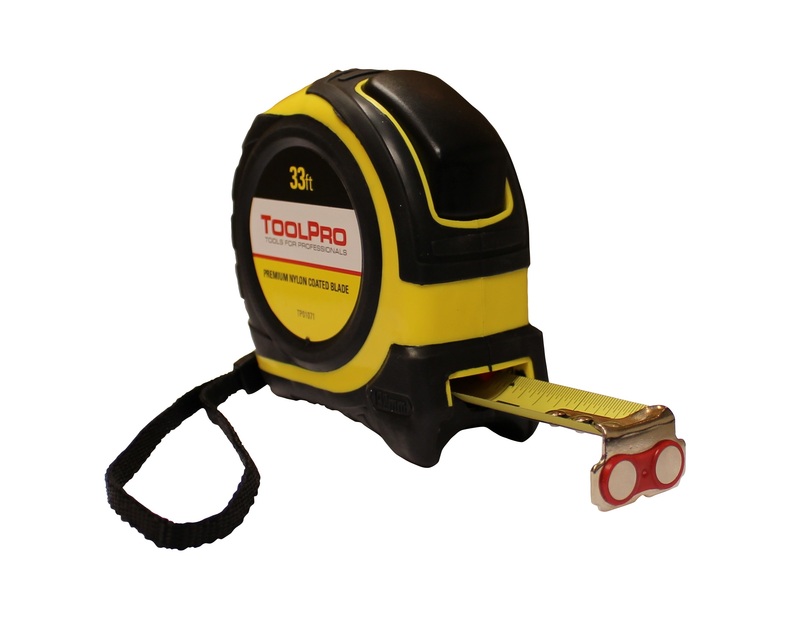 The ToolPro 33 ft. Magnetic Tape Measure has two rare earth magnets on the end to easily hook onto metal surfaces. 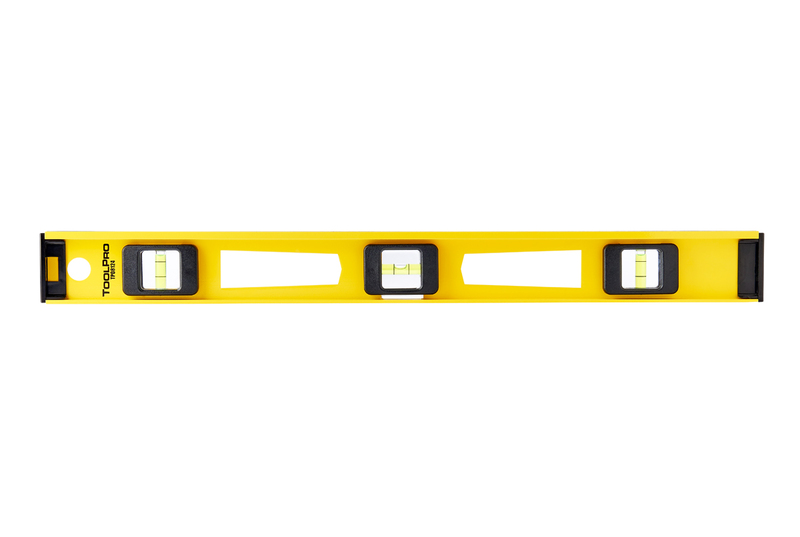 This allows for easy measuring of steel studs, acoustical ceiling grid, pipes, ductwork, and more. End hook is riveted for added strength and durability. 33 ft. blade locks at any increment. 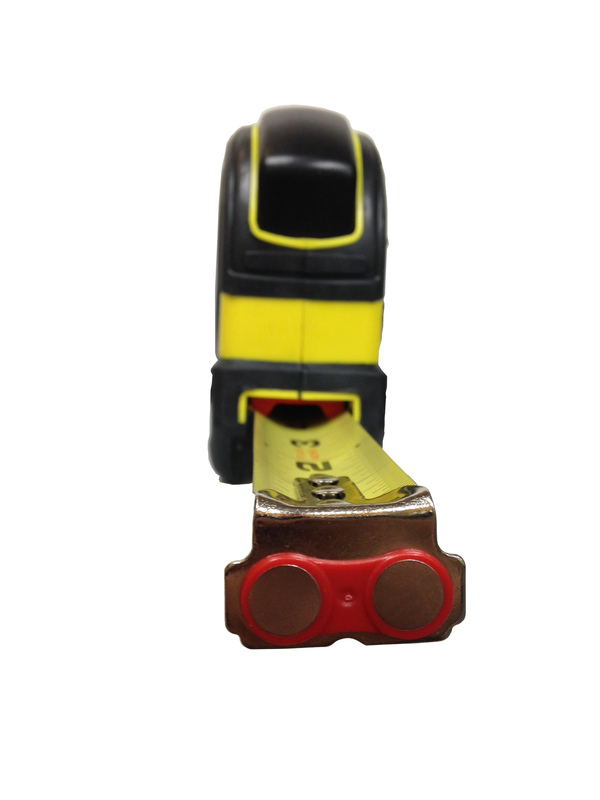 Blade lock works with a simple on-off click button. Reinforced blade has multi-riveted end hook for added strength. Ergonomic design with elastomeric cover. Wrist loop allows for tethering. Equipped with a belt clip for easy attachment.